Karl Halir (Carl Halir) was a Czech violinist, teacher, and composer born on February 1, 1859. In his day, he was famous for his interpretation of the Beethoven concerto. However, he is also remembered for having played the first performance of the revised version – the version now commonly heard today – of the Sibelius concerto. He was also a very tall man with an imposing presence, as were August Wilhelmj and Erick Friedman (and is Arnold Steinhardt.) It has been said that in his hands, the violin looked like a toy. His father was his first violin teacher. At the Prague Conservatory he studied under Antonin Bennewitz (teacher also of Josef Suk and Otakar Sevcik) and later (from age 15) with Joseph Joachim in Berlin, at the Advanced School for Music. Upon graduation, Halir joined Benjamin Bilse’s Band in Berlin, the precursor of the Berlin Philharmonic. He was either the concertmaster of this band or played among the first violins. I do not know for sure. He was concertmaster also of the orchestra at Konigsberg in 1879. He was 20 years old. Two years later, he became concertmaster in Mannheim and remained for 3 years. One source states that after Konigsberg, he spent two seasons in Italy as part of the private orchestra of a Russian nobleman. In 1884, he was appointed concertmaster of the orchestra in Weimar (Grand Ducal Court Orchestra) and was there for 10 years (1884-1894.) That same year, as part of the Bach Festival, he and Joachim played the Bach concerto for two violins in Eisenach to great acclaim. He was 25 years old. Joachim was more than twice his age. Halir much later (in 1897) joined Joachim’s string quartet as second violinist – the quartet had originally been formed in 1869. After Joachim’s death, Halir formed his own quartet. After leaving the Weimar orchestra in 1894, he became concertmaster of the Berlin Court Opera orchestra and teacher at the school from which he had graduated (the Hochschule fur Musik) – he taught there until the day he died. In Berlin, he also formed a piano trio which included pianist George Schumann and cellist Hugo Dechert. All the while, he continued his solo concerts and recitals. 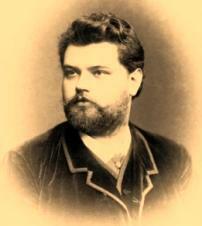 In 1888, Halir played the Tchaikovsky concerto in Leipzig. Tchaikovsky was at the performance and was so impressed with the concert he later described it as a memorable day. In 1896, Halir toured the U.S. He arrived on November 4, 1896, for a 25-concert tour. For the tour, Joachim lent Halir his Red Stradivarius of 1715 (now called the Joachim Strad – not to be confused with the Red Mendelssohn), said to be worth $12,000 at the time. That violin was a gift to Joachim from the City of London in 1889. It went to Joachim’s nephew, Harold Joachim, upon Joseph Joachim’s death. Today, it is in Cremona, Italy and is worth more than $12,000. Joachim’s generosity was a further sign of the affection and respect he had for Halir. Halir’s itinerary included the cities of Chicago, Minneapolis, Milwaukee, Cambridge, Boston, Baltimore, Washington, Philadelphia, and New York, among other places. On November 13, 1896, in New York, he made his U.S. debut with the Beethoven concerto. On December 4, he gave the U.S. premiere of Spohr’s eighth concerto. On October 19, 1905, in Berlin, with Richard Strauss conducting the Berlin Philharmonic, Halir gave the famous performance of the final version of the Sibelius concerto. He also played one of Charles Loeffler's violin works at that same concert. In Berlin, most of his students were American violinists. Among other things, Halir wrote violin etudes and scale studies and a cadenza for the Brahms concerto, works which are not well-known today. Halir died (in Berlin) on December 21, 1909, at age 50.